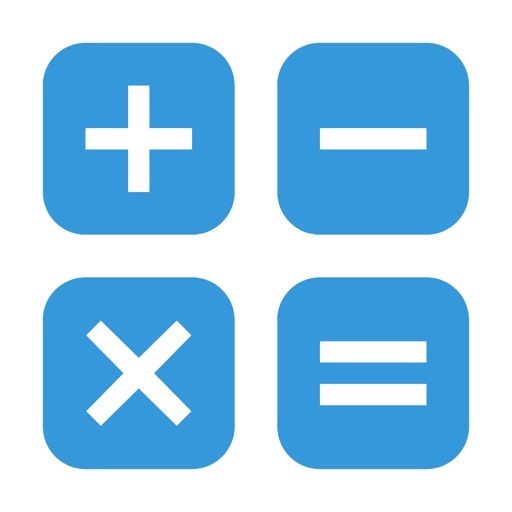 Download Simple_Calc free via AppsHawk. 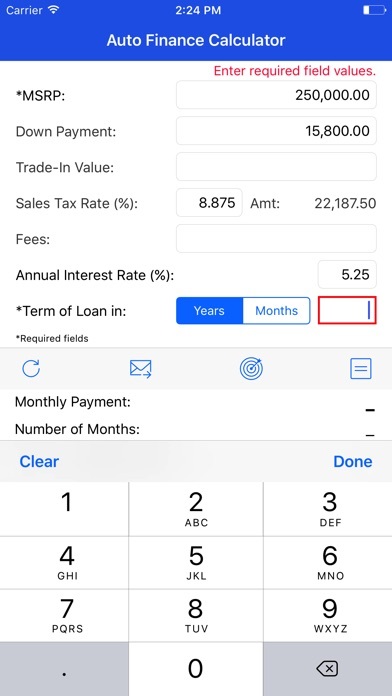 Simple_Calc is a simple, easy to use calculator designed to help the consumer calculate the monthly payment on an automobile they intend to finance. 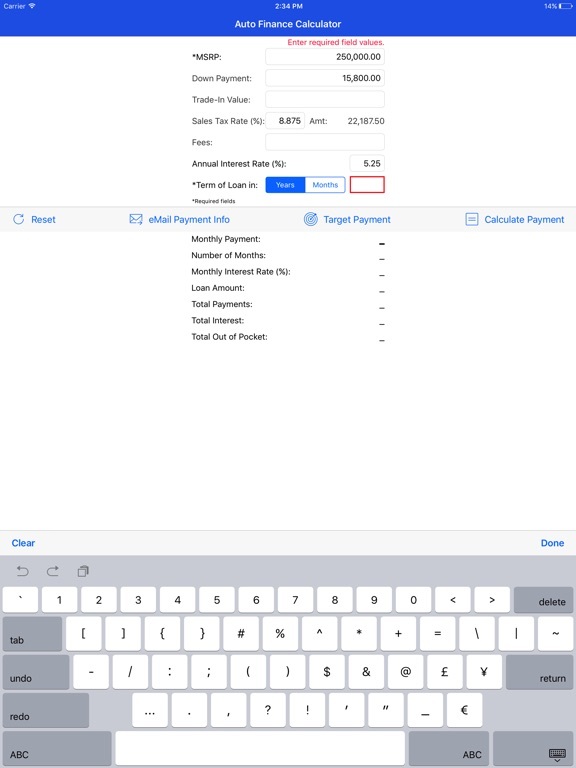 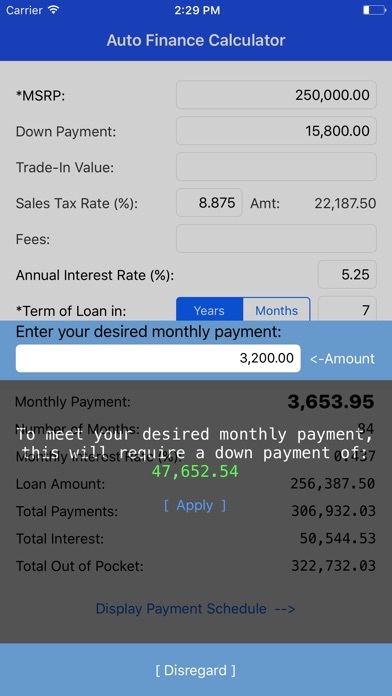 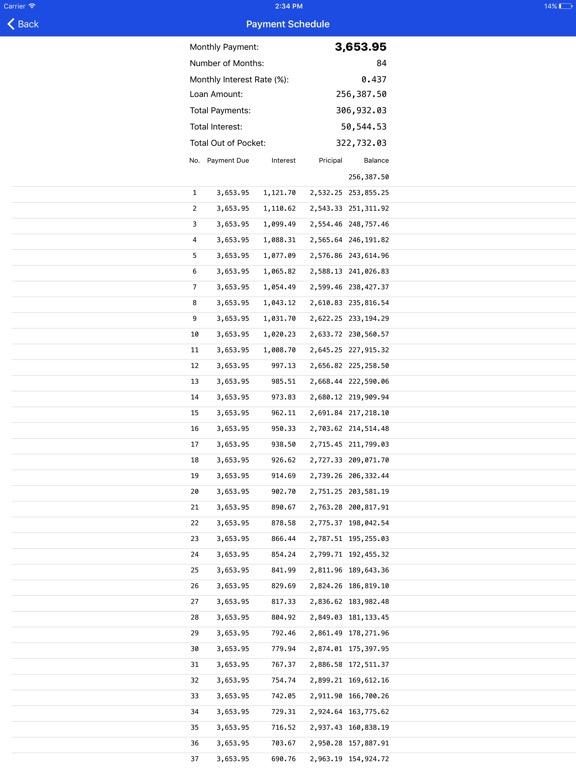 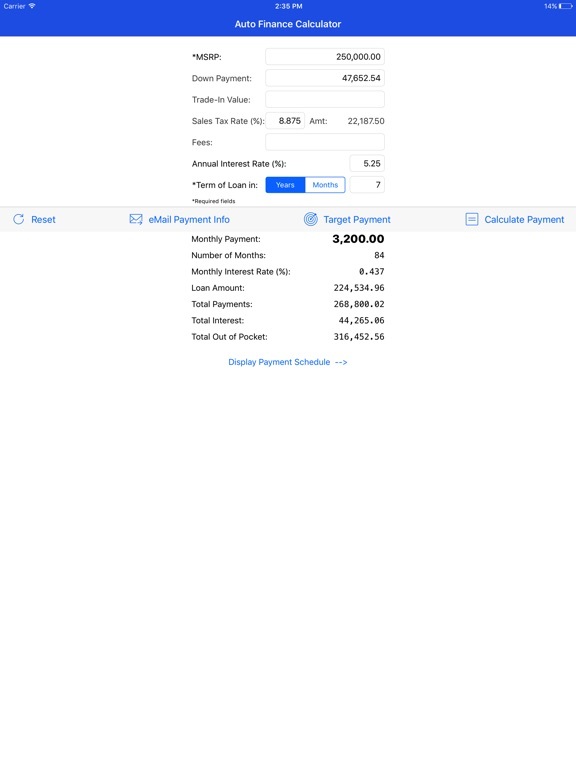 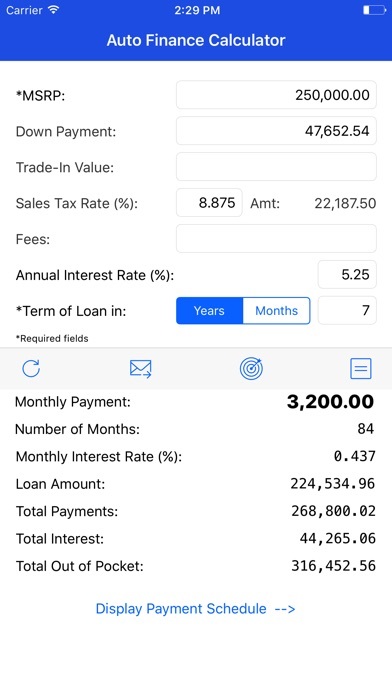 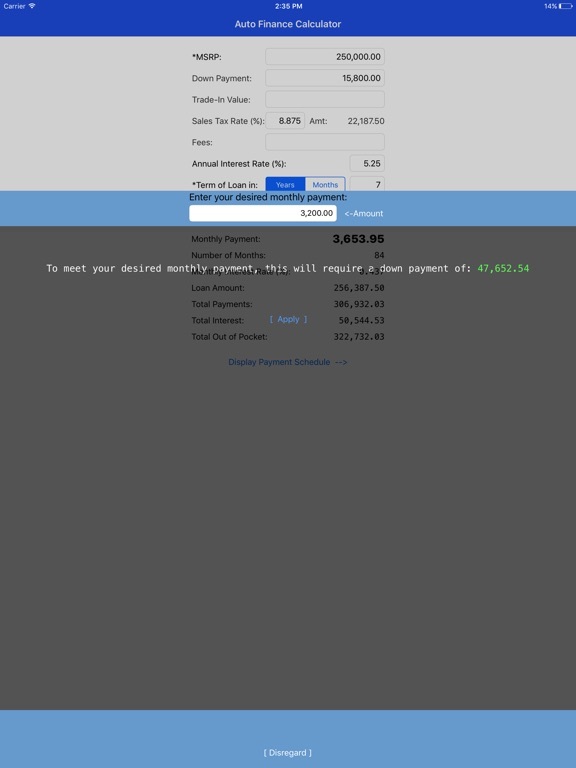 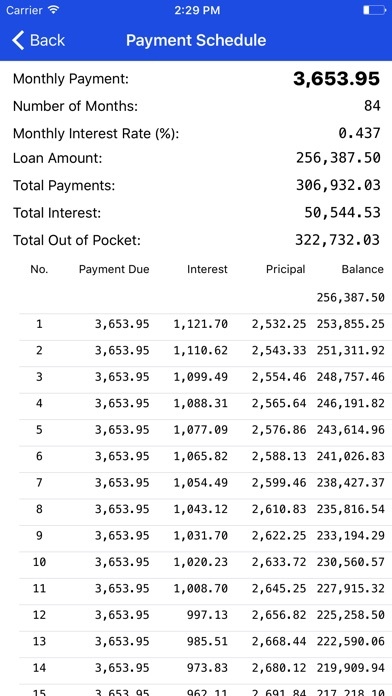 Simple_Calc gives the consumer a transparent view into their total out of pocket cost, additional money paid in interest overall, the full amortized payment schedule (iPhone 6 and above only), the ability to determine the down payment required based on a targeted monthly payment, and email your final calculation details to anyone.